Today we’re going to take time and smell the roses. Truly. 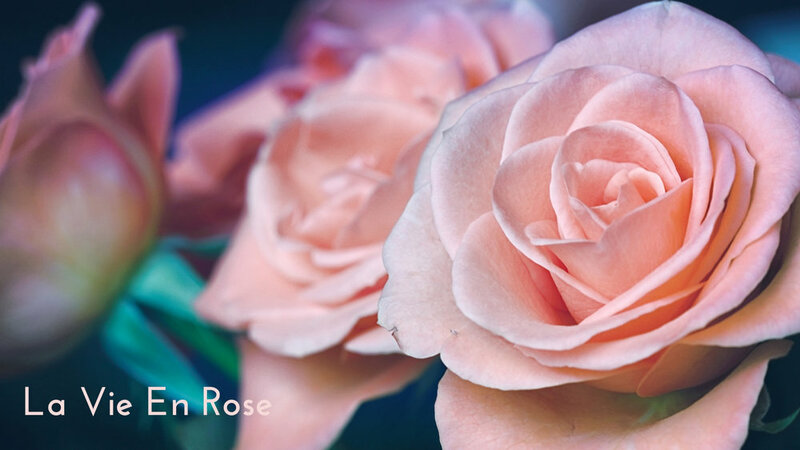 Today is really all about roses and how they feature in the Great American Songbook. The fact that roses are strewn so liberally in the lyrics of American Popular Standards shouldn’t be much of a surprise. Roses are featured heavily throughout literature, too. It stands to reason they would find a happy home in the modern incarnation of poetry. Emerson said, there is simply the rose; it is perfect in every moment of its existence. And while you’re perfectly entitled to argue that a rose by any other name would smell as sweet, I’ve already covered how much I agree with Anne Shirley on that one (see What’s in a Name? post here). But, like roses, these songs, whether upbeat and fun, mellow and magical, red and romantic, or slow and sad, are perfect in every moment of their existence. I hope you enjoy them as much as I do. Since it is Monday and we might all be in need of that extra pep, let’s start with something a little up-beat, Honeysuckle Rose by Fats Waller and Andy Razaf. Debutting in the 1929 Black revue Load of Coal in Harlem, Honeysuckle Rose was not the showstopper. Rather, it was relegated to a soft shoe number, while other more uptempo songs were given prominence. Ironically, today Honeysuckle Rose is the most notable song from that musical. It’s a sweet love song. Literally. Get a load of this lyric. For those times when you realize that while love is grand, there’s that old French proverb. You know the one? No rose without a thorn. Yeah. I Won’t Send Roses is certainly the sort of song that is the thorn rather than the rose. But, there’s stark beauty in the tragedy of this one. From the musical Mack and Mabel, based loosely on the tumultuous romantic relationship between Hollywood producer Mack Sennett and artist model turned actress Mabel Normand, I Won’t Send Roses is sung by Mack’s character after Mabel reveals that she’s in love with him. It’s rather a bittersweet song about a character who is trapped within himself. How tragic to be a man wildly in love with a woman, and incapable of telling her because he’s spent the whole of his life cultivating that sort of reserve and prohibition in himself. That’s Mack. While Robert Preston has a superb rendition from when he played Mack on Broadway opposite Bernadette Peters, the version I like the best is sung by Michael Feinstein. And for those times when the bloom is certainly off the rose, here’s a song that can help you remember better days. The Days of Wine and Roses is one of those sorrowful intonations that Johnny Mercer was adroit at penning. While the music and melody are beautiful, the lyrics evoke a potent tragedy at the loss of halcyon days. My favorite version is sung by Nancy Lamott from her album Come Rain or Come Shine, which contains all Johnny Mercer songs. Her rendition creates a medley with Whistling Away the Dark. The juxtaposition of these two songs further amplifies the impending doom and desperate quest for hope in the darkest of hours. These next two songs are decidedly more upbeat in nature, but they retain the integrity and seriousness that should accompany what the rose so eloquently symbolizes: love. And since my first book takes place in Paris, and I’ve been working on it diligently the last few weeks, this song has been playing to stir my imaginations regarding the City of Lights. I believe it is a pretty safe bet to say that we all are familiar with La Vie En Rose. It’s practically the anthem of Paris. I think that’s because Edith Piaf made it such a smash hit from that fair metropolis. Regardless, this song is one of romance, and two people choosing each other and deciding to set their path on the same course together. This song is fulled to top of the coup with Rosé optimism. And speaking of pink filtered optimism, I’ll leave you with a high note. Everything’s Coming Up Roses is from the musical Gypsy about the stripper Gypsy Rose Lee. It’s a song of promise. It’s a song of hope. It’s a song of courage. And we can always use those attributes, don’t you think? At the point in the musical where this song is sung, Gypsy Rose Lee has had a tough row to hoe. It’s been hard going. But, suddenly, and quite unexpectedly, the future looms before her and it’s all bright and glorious. She’s seeing it la vie en rose. That’s why, dear readers, everything’s coming up roses. My favorite version is by Rosemary Clooney. Years after she recorded this song, she debuted an album called Everything’s Coming Up Rosie, though the song is not featured on the album. It’s a pretty great title, regardless, don’t you think? Well, dear readers, I believe that spans the gamut of roses. In each case, roses symbolize grandness and good days. I wish you all roses, today. 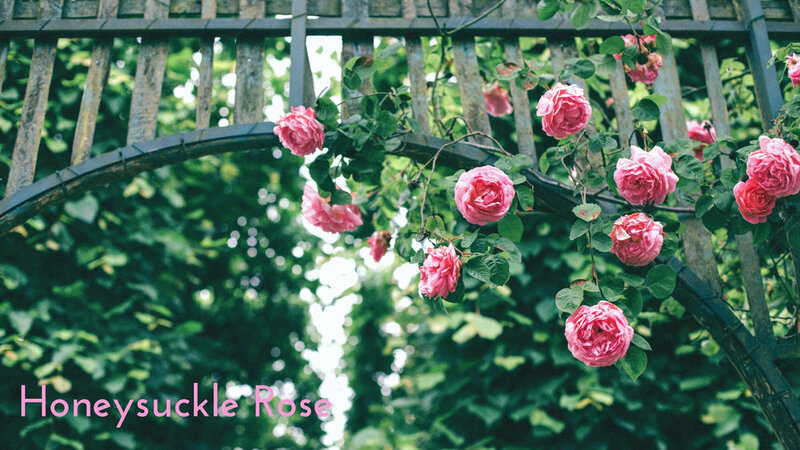 And, since I’m always on the lookout for new music to listen to, are there any songs about roses to which you could direct me?